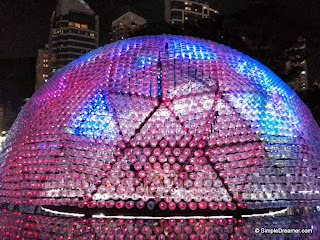 In the spirit of Mid-Autumn Festival, the Hong Kong Tourism Board brought a giant lantern to Victoria Park at Causeway Bay. 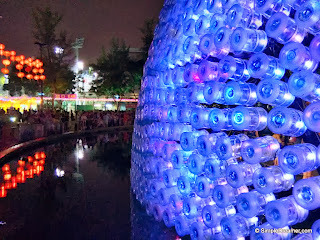 Named "Rising Moom", this huge structure is made of recycled plastic bottle and flashing LEDs. 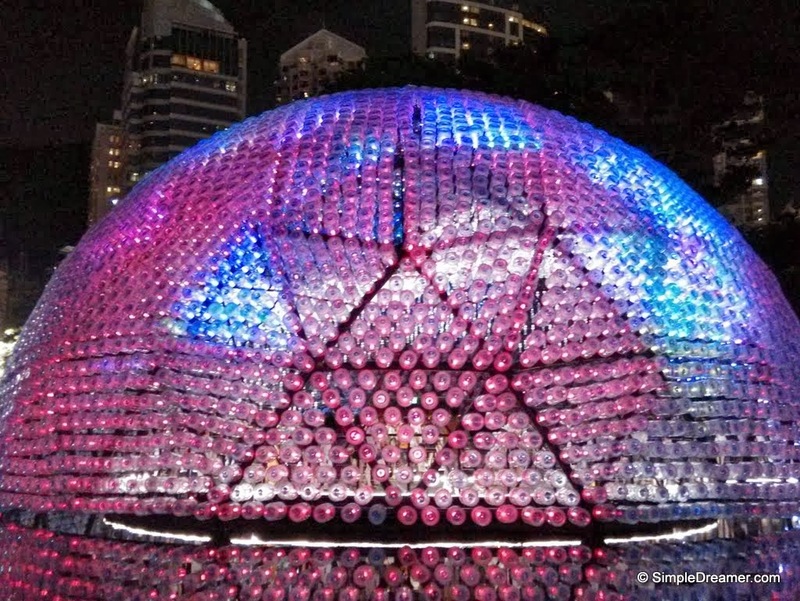 Apart from festival celebrations, this giant lantern hopes to promote recycling in Hong Kong. 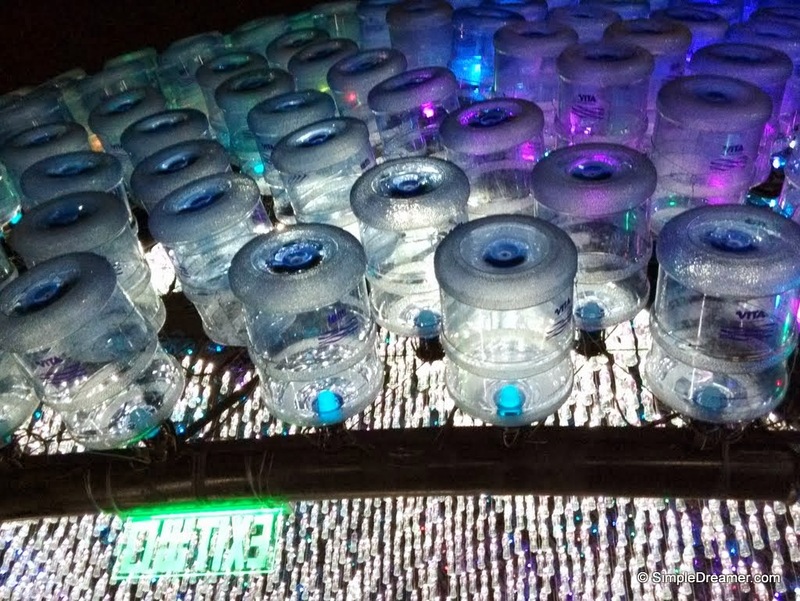 The 7000 used bottles will also be recycled after the display period. The giant lantern is in a dome shape. It is so big that it can comfortably accommodate over 100 people inside. 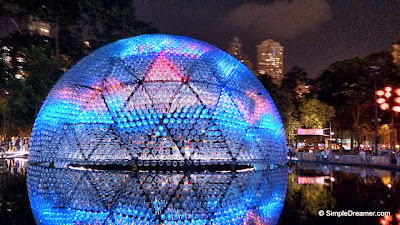 The lantern is surrounded by a water fountain, the reflection of the semi-sphere creates an image of the full moon. 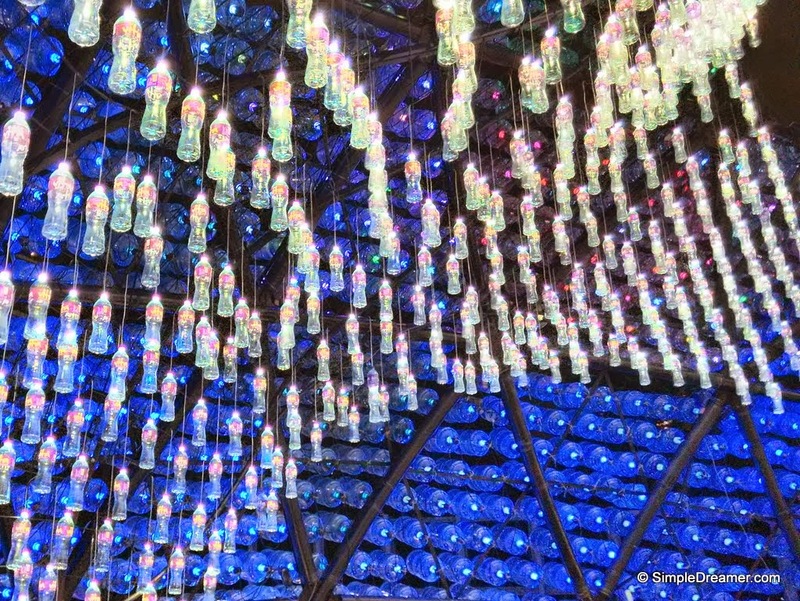 The LEDs constantly changes colour, light and music show are on every 15 minutes in the evenings. Check out this video for a snap shot of the giant lantern. This lantern is on temporary display. 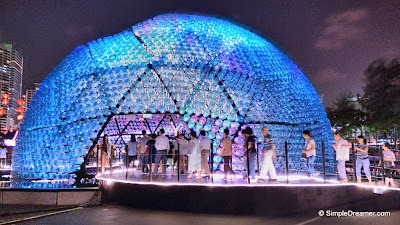 However, if you are interested in dome shape structure, check out the Hong Kong Space Museum. The museum itself is famous for its shape. 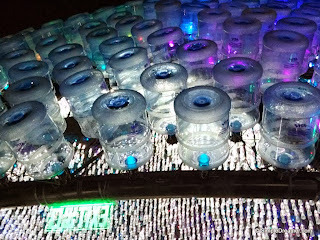 This recycled plastic bottle Lantern is at the Tin Hau side of Victoria Park. It is closed to the Tin Hau Temple and L'hotel Harbour View. 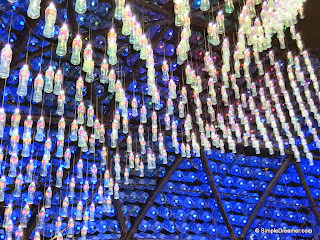 On the Causeway side of Victoria Park, you will find a collection of Traditional Chinese Lanterns.